Home Steve Jobs Tim Cook Steve Jobs vs Tim Cook who is better? 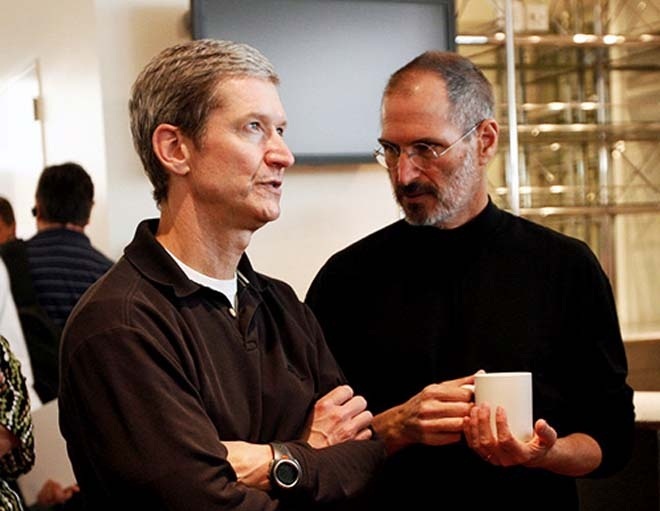 Steve Jobs vs Tim Cook who is better? When Steve Jobs was alive in this world all the Apple users loved him but when it came to Apple's employees they were very fearful of Steve. His obsession for perfection was so incredible that people used to even fear accompanying him in the office lift with a fear of getting fired. 1. Distributing some part of $100 Billion cash pile to Apples employees as bonus. 2. Increasing pay packages of commonly less paid Apple Staff in Apple stores. Steve Jobs did not accept anything substandard and there was one incidence when a team was called in a auditorium and mercilessly cursed by Jobs in the end the Team Lead was fired in front of all because of a poor quality of product. That was the kind of work culture Jobs was forcing people in Apple to follow. Tim Cook is different he is more focused on protecting the already existing Business Model which Jobs left behind and tries to take all possible steps to protect it from intruders. There is another Business strategy Tim Cook has introduced and that is force users to use Apple's only products. Example recent Apple Maps. Ask anyone who used it its not even close to what Google Maps has in the offing. this is the exact strategy Microsoft had applied with their windows and Office software's. Steve Jobs was more focused on Innovation and Quality of Product and would have never allowed half cooked product like Apple Maps to roll out on such a large scale. When Steve was alive he was focusing on the products and Tim Cook was focusing on business strategies. This really worked for Apple as a company, but now that Steve Jobs is no more and Tim Cook is continuing to do what he is best at but the Steve Jobs replacement is still not available. Tim Cook will definitely make sure that Apple keeps earning many more billions as the Apple fan base is so strong that it can sustain for many years. But when it comes to Innovation and Product quality and the out of the world user experience Steve Jobs will always be missed. The verdict is clear Steve Jobs was good for Apple's Users and Tim Cook is good for his employees and share holders. What will happen in future only time will tell, I guess we all can anticipate what will happen.